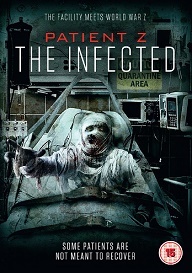 Patient Z is released on DVD September 5th. And to celebrate we have a great competition for you and 3 copies on DVD to give away. Lacie Donovan suffers from a problem that is all too common for college students: an empty wallet. With semester break at hand, a flyer on the campus bulletin board offering $1,000 for medical research volunteers could not have been posted at a better time.